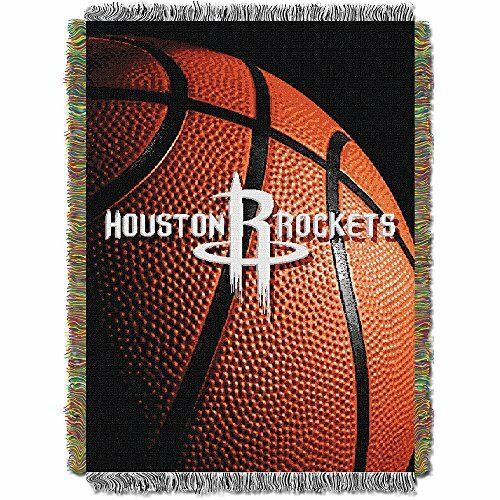 Show your love for the game and your favorite team with this "photo Real" woven tapestry throw by the Northwest company. With your NBA team's large-scale logo floating over a Spalding official game ball, these heirloom quality throws are a tribute to American craftsmanship. Tapestries are amazingly detailed and colorful. Use it as a room accent, bed covering, throw blanket, or wall-hanging. Tapestries are approx. 48"X 60" and have decorative fringes on all sides. 100% polyester. Machine washable. The Northwest Company Officially Licensed NBA Boston Celtics Full Body Player Adult Comfy Throw Blanket, 48" x 71"